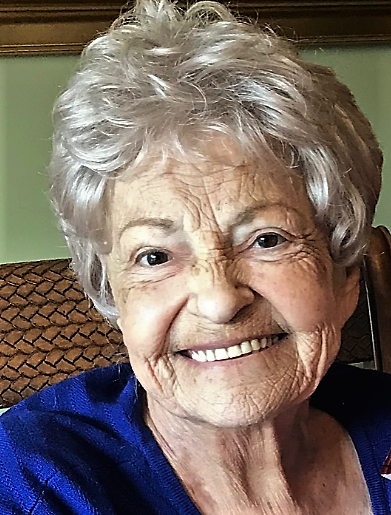 Carol Ann Runyon-Rogers passed away on January 1, 2019 in Conroe, Texas at the age of 80 after a battle with cancer. Her loving family was by her side. Carol was a long time resident of the Sun City area. She will join her husband, Dan Rogers in rest at Riverside National Cemetery following a memorial celebration with her family. Carol and Dan loved to be together and especially to go fishing. We can picture them together again in Heaven with fishing rods in their hands. Carol was born in Los Angeles to Anthony and Pearl Solimeno and she had one sister, Jean who was her best friend. Carol loved her 3 sons dearly (Tony, Dwain and Jeff) and was a fantastic mother to them. She had 3 daughters-in-law that she treated like daughters (Brenda, Rosenda and Kris). She also helped raised a stepson (Michael), who stayed very close to her; as well as, a stepdaughter (Sheri). Carol had 5 grandchildren (Nicholas, Kaitlynn, Zachary, Christopher and Nicole) that she adored. She was very close with her nieces, nephew and Cousin Louise. She absolutely loved all of her family and her very dear long-time friends. Carol was a medical secretary and loved her work. She was a Christian, Conservative, independent woman who loved to cook Italian food. As good a cook as Carol was, she always admitted that her sister, Jean was the great cook of the family. Mom, you are greatly missed but we shall all see you again soon and we are comforted knowing that you are in the arms of Jesus.